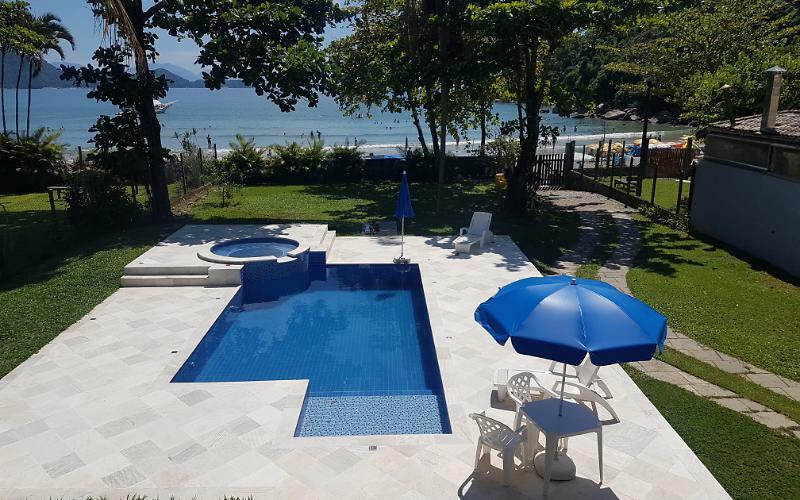 We are located in privileged beach right corner of Porpoises in Ubatuba. The House offers: -SWIMMING POOL -AIR CONDITIONING -WI-FI (wireless internet) -Terrace with barbecue. -Living room and TV room. -Dining room. -American style kitchen with counter. 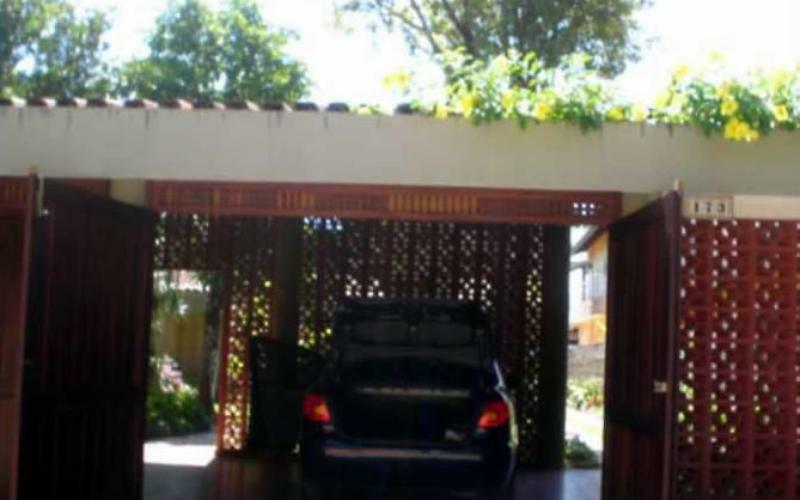 -Garage for 6 cars. -High pressure Shower in the indoor garden. -Four bedrooms, 2 suites and 2 rooms with bathroom which caters to meeting rooms. -Loft at the top with mini kitchen, double bed, 2 single beds, a sofa bed, table and bathroom. -Accommodation for 16 people, 12 on the ground floor and 4 at the top. The House is practical, warm and comfortable. Its distribution is functional and harmonious. The right foot is high and that the House is too airy. Natural light invades every corner, and the view to the sea is always within reach of the eyes. The large glass doors connecting terrace and living room, which give passage to the great lawn garden facing the sea. In the gourmet has an excellent barbecue and hammocks for a good relaxed. On the lawn has fruit trees where gives direct access to the beach. We send the contract by email. 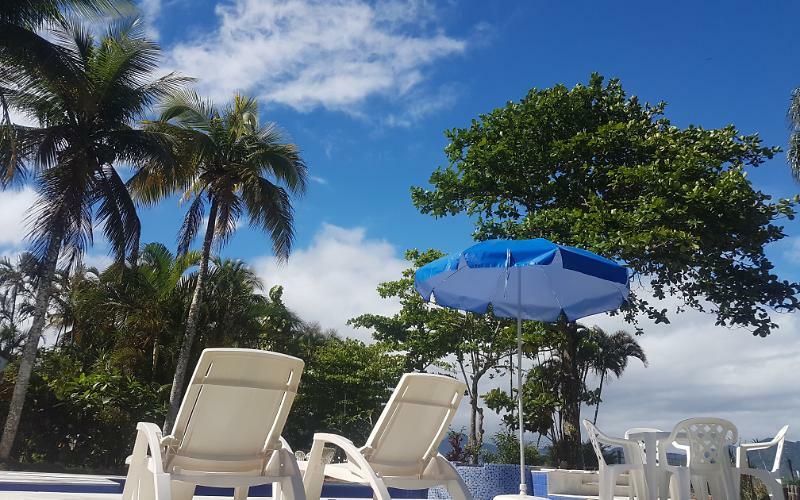 The House is located 8 km from the Centre of Ubatuba and from the bus station, the Projeto Tamar station and Ubatuba Aquarium is less than 5 km, the beautiful Street Mall Guarani is just 5 km away. The Large Beach is less than 2 km away. A casa está muito bem localizada , os proprietários são atenciosos, a área externa da piscina é excelente, mas a casa não está em boas condições começando pela água que estava nojenta a água que saia das torneiras era extremamente suja tentaram resolver mas não conseguiram , os sofás da casa casa estavam extremamente encardidos , o escorredor de copos da cozinha todo enferrujado , a casa está sem forro na cozinha e salas ,tem goteiras pela casa toda inclusive na parte da suite superior molhou toda a cama do meu filho , Tem mofo na parede cheira mofo , fiquei super doente com alergia atacada por conta do cheiro , Ficamos insatisfeito com esses detalhes um pouco de cuidado a mais a casa ficaria bem melhor.